I typically believe in a non violent approach, but this morning I can't help myself. Because we are as close as we are, I will tell you the truth… I want to rip this sweater off of the model and run! 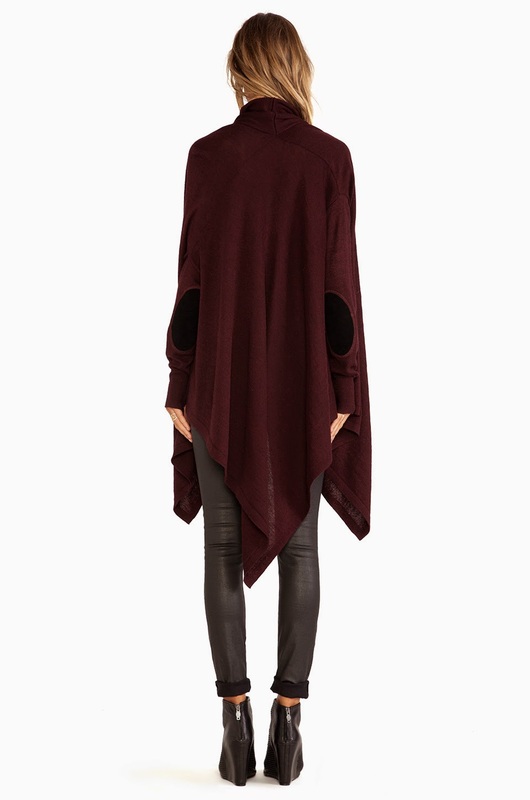 I am in LOVE with this Nicholas K Serius sweater. It has all of the necessary items to qualify for an obsession; a plunging neck line, thumb holes, an asymmetrical hem, AND elbow patches! What more could you want! Well, keep me in your prayers because if I see someone in this sweater before I have a chance to get my hands on my own… well…. it might be trouble!